So, you need a retaining wall. Since you’re reading this you’re already taking the vital first step: doing research. There are two ways you can go from here. You could try to do the job yourself or you could hire a retaining wall contractor for your landscape project. We’re not here to question your ability, but you should really know what you’re getting into with a retaining wall. It’s going to be a long, difficult, and costly process no matter which way you slice it. Hiring a contractor will almost always get you better results, and it may even be the cheaper option. Don’t believe us? Here are just a few of the benefits of hiring a retaining wall contractor. Retaining walls have a simple purpose, but they are deceptively difficult to get right. 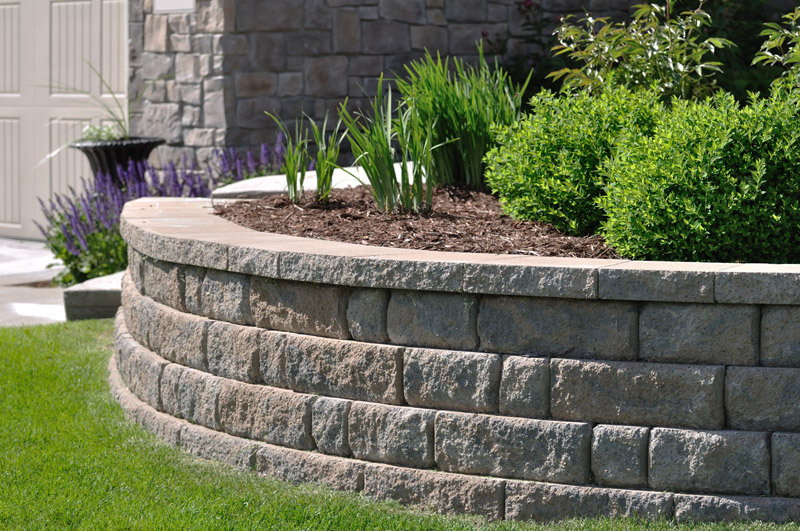 A retaining wall contractor will have years of experience in the field and all of the knowledge that comes with that. They will know how to deal with the soil on your property, they’ll know what kind of drainage to install, and they’ll know the right materials to use for the job. These are things that you can only learn by doing. A contractor will also be aware of all the local regulations regarding retaining walls. Nothing would be worse than building your wall only to find out that you didn’t get the right kind of permit or that the way it’s constructed violates some local ordinance. State and local building codes are kind of a dry read (understatement of the century), so why not let a contractor handle the boring stuff? A retaining wall needs to stand up to a lot of pressure so the materials used during construction need to be of high quality. Otherwise, you’ll be building a new retaining wall before long. A contractor will know where to get the best materials. Not only that, they’ll know how to get them at a good price. To do this they rely on the relationships they’ve developed with suppliers over the years. You probably have some good friends, but can your friends get you hundreds of boulders? Probably not. Construction can be fun and you wouldn’t even be thinking of going DIY if you didn’t enjoy it at some level. With that said, building a retaining wall is a big task. Depending on what kind of materials you use just moving things around may be a huge hassle. You’ll probably need to rent some heavy machinery and let’s be honest, the sight of you trying to operate a backhoe is probably going to scare your neighbors. We’re not even scratching the surface of what goes into building a retaining wall here, but you get the picture. It’s a tough job that demands a lot of physical strength. You can kiss your free time goodbye for the next few weeks at a minimum. And you better hope you get everything right the first time because we guarantee that if you mess up you’re going to be too tired to do it all again! Yes, you heard that right. You may think going DIY will save you money on your retaining wall but for the most part that isn’t true. There are a few reasons why this is the case. 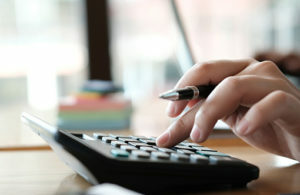 Material Costs – A good contractor will have working relationships with their material providers. This allows them to get good prices on the materials — especially if they are buying in bulk. Insurance – What happens if something goes wrong during the job? A contractor who damages your property during the construction process will be responsible for fixing that. If you damage your property doing the job yourself, you’re on the hook for the repairs. Experience – A contractor will likely get the job done right the first time. Building a retaining wall is a big job and even the more experienced amateurs are likely to make a number of mistakes. That means you either need to go back and fix them — which is costly — or you deal with a poorly constructed retaining wall that won’t last nearly as long as it should. Unless you happen to have a team of people with construction experience willing to work for free, hiring a contractor is often the more economical option. Still not convinced that you need a retaining wall contractor? Well, you’ve got guts we’ll give you that. At the very least you should continue thinking about it. Maybe get in touch with a few local contractors and give them a description of your job. They’ll be able to tell you what to expect and give you a quote. You might be surprised at how affordable a good contractor is. 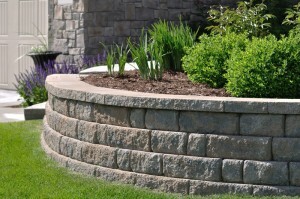 Are you looking for a retaining wall contractor in Ann Arbor? Look no further than Twin Oaks Landscape. Please, contact us today or fill out our design questionnaire and we’ll respond promptly with our assessment of your job.